At Brookfield Infant School we believe that every children deserves the best possible chance to achieve with their learning, social and emotional development and physical skills. Some pupils need more help than others and these children are identified by the class teacher and given extra support in school as needed. Your child's teacher will always talk to you about the support given but this page is designed to help you understand more about different interventions available. Support is given through provision maps that have been planned and organised by the teachers from each year group. They explain how we help every child to make progress. There are three stages of support on the provision maps. All pupils in the school have Stage 1 provision regardless of their ability. This provision includes all the activities that are used for children who need a bit more help to catch up and reach the expected standard for their age. Support is usually organised in small groups carried out in the classroom. However, some children may be taught for short periods of time outside the classroom. This is for children who need more intensive support and is often carried out individually. If your child is getting help at this stage you will already have been involved in discussions with the school about your child's needs. In the links below you will find a blank provision map used through the school to show the different types of provision that we provide. We also have a Vulnerable Pupils register for children who have moved off of the Special Needs register which allows us to track how these children are progressing. If you would like to speak to Mrs R. Carlton, our Special Education Needs Co-ordinator, she is available on Mondays and Wednesdays. Please make an appointment to see her at the office. 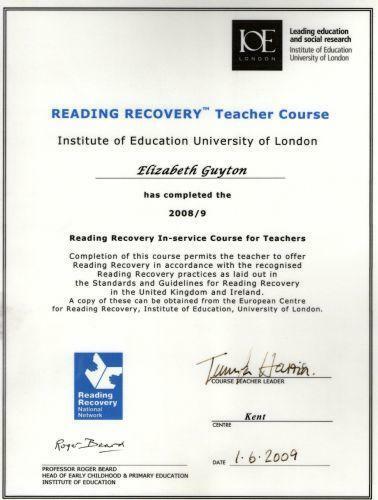 Reading Recovery is an intensive one to one catch up literacy program that enables pupils who are struggling to read and write to catch up with their peers. The Reading Recovery Teacher, Mrs Guyton, works with each child for 30 minutes every day for approximately 16 weeks. This enables the children to read 20 extra books per week and work closely on how letters and words work in order to gain rapid progress in reading and writing. The program uses lots if specific praise and positive reinforcement to promote self-extending learning strategies. If your child is selected for this program your Class Teacher and Mrs Guyton will give you more information and discuss your role in the program. BRP is a less intensive reading program for pupils to fact track their reading. Each child read with a 'Better Reading Partner' (most of our Learning Support Staff are specialist Better Reading Partners) for 15 minutes, three times per week on a 10 week program covering an extra 9 books per week with an expected reading acceleration of 6 months! Snowdrop room was created in 2012 to support children in a variety of ways. It is sometimes used for learning interventions but also as a quite, sensory space for children to go to if they need some calming down time. It allows the classrooms to run smoothly whilst still caring for our little people who need a little bit more one to one than others. Play therapy also takes place in this room.